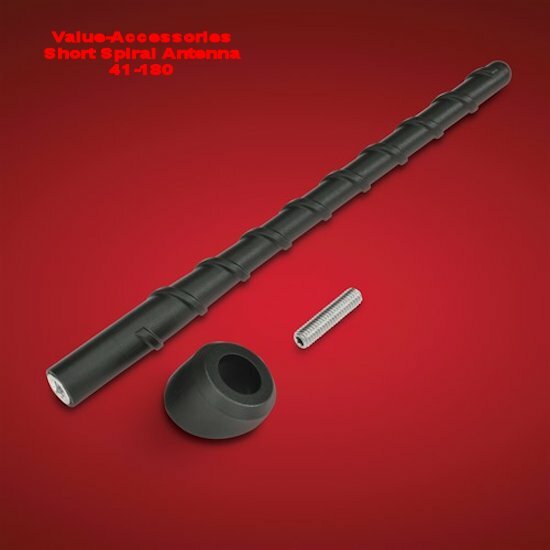 This Short Spiral Antenna from Big Bike Parts is a great replacement for those long stock OEM whips that do not work with covers, get in the way of low overhead garage doors and are just a nuisance. 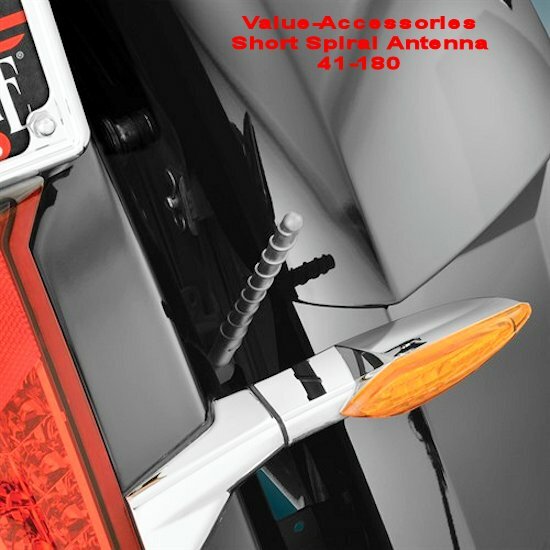 This 7 ½’’ tall antenna is easily installed as a direct replacement for Can-Am RT / F-3T, Victory and Harley AM/FM antennas. Includes removable M6-1.0 threaded screw to mount on any model needed. 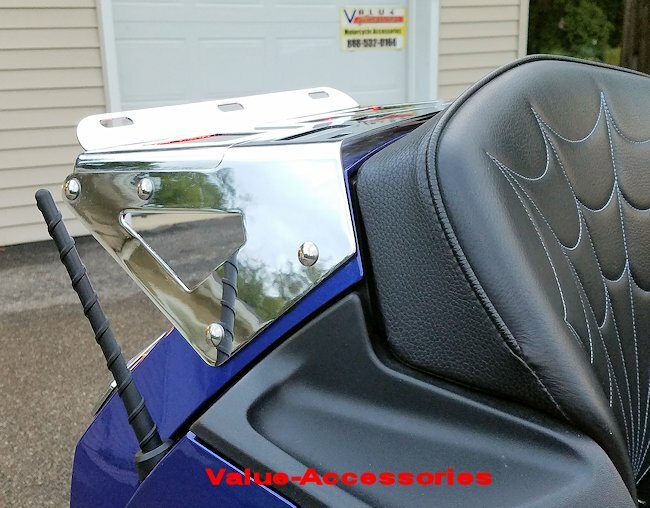 Includes a new grommet for the Can-Am RT that will stay put and complete the installation. 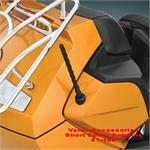 Note: If using on a Spyder RT, before purchasing please verify that the original Antenna can be removed easily. 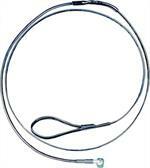 The RT Antenna's are installed with thread lock from the factory and may be very difficult to loosen up. Pull up the Rubber Boot, then using a small set of good quality locking pliers (5" Irwin Long Reach Vice-Grips) turn the brass base to the left to loosen. 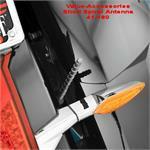 You may also cut the original antenna off and use a 7mm deep well socket (easiest way). We have removed a lot of them (after being cut off) with a 7mm Deep Well Socket. The 17+ RT come with a shorter Antenna and will require taking the side cover off to access the base.